Keep your loved ones close, always. 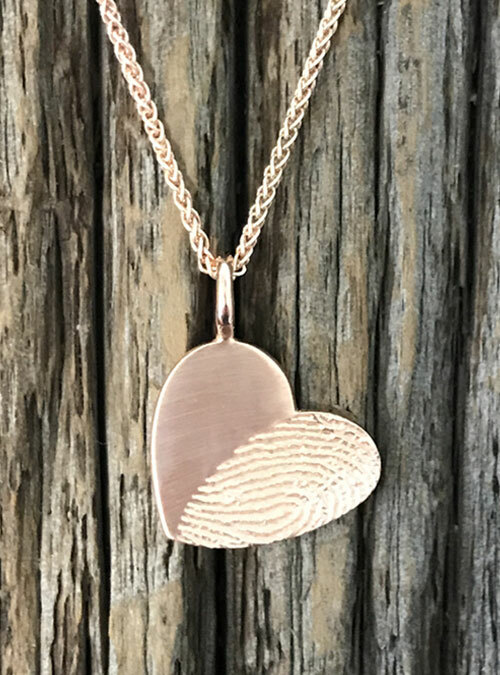 Capture their fingerprints in a charm handcrafted for you that you can wear close to your heart. Can accommodate 1 or 2 fingerprints. 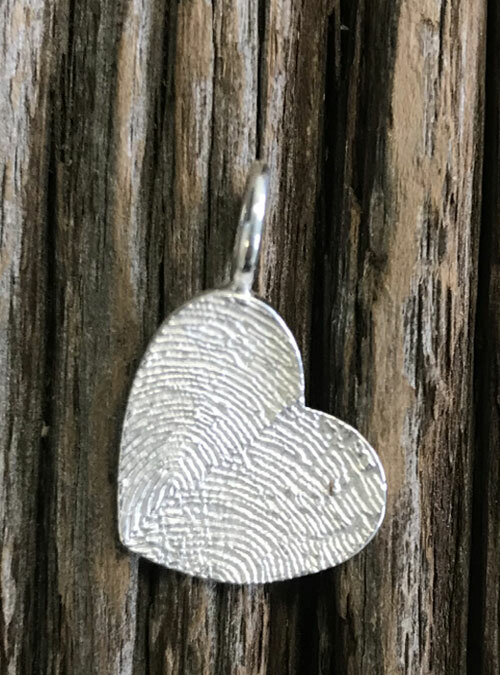 Size of fingerprint on the charm is relative to finger size. 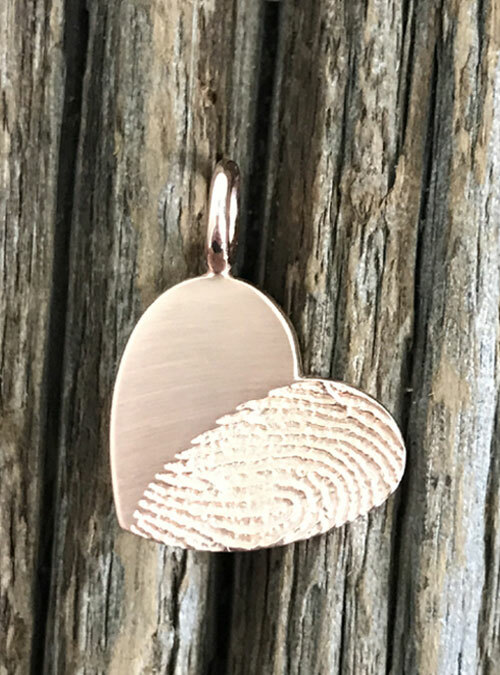 Your loved one’s fingerprint in high def on a heart shaped rose gold charm, approx 19 mm in length and width (about the size of a nickel), with a rose gold chain. 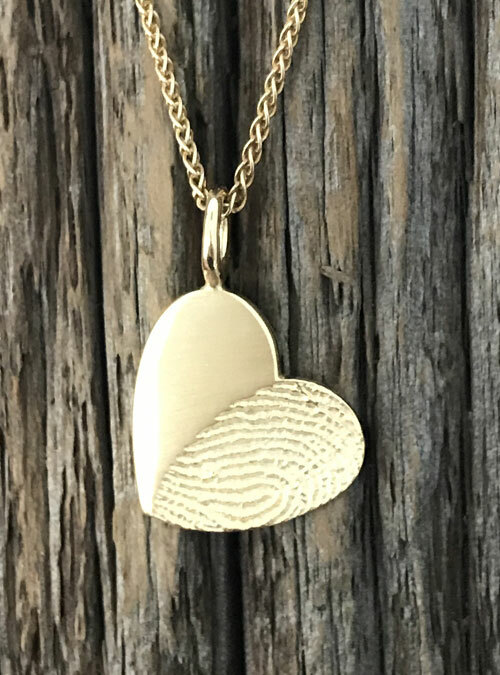 Can be made with 1 or 2 fingerprints on it. 2. Use materials you have on hand to create a series of ink fingerprints. Take a picture of the page of prints and email it to us. Fits all standard chains and brands of slide on bracelet (including Pandora). Charm is 19 mm in length and width. Engraving on the back in script font is included. Max 20 characters including spaces and punctuation. Available in sterling silver and 10K, 14K, 18K yellow, white, and rose gold.